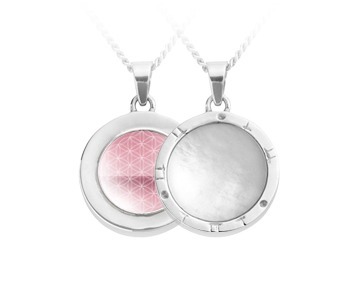 The Encoded Pendant is a beautiful handmade sterling silver-framed pendant with a Mother of Pearl face and a bioDOT on the back. bioDOT is the personal DOT. The DOT for you to wear. It is programmed with powerful resonant Phi Technology®. The natural frequencies used in this programming work with your energy field. Wearing a bioDOT is like recharging your battery, restoring and rebalancing your energy. The encoding around the frame is designed to amplify the overall energetic effect. 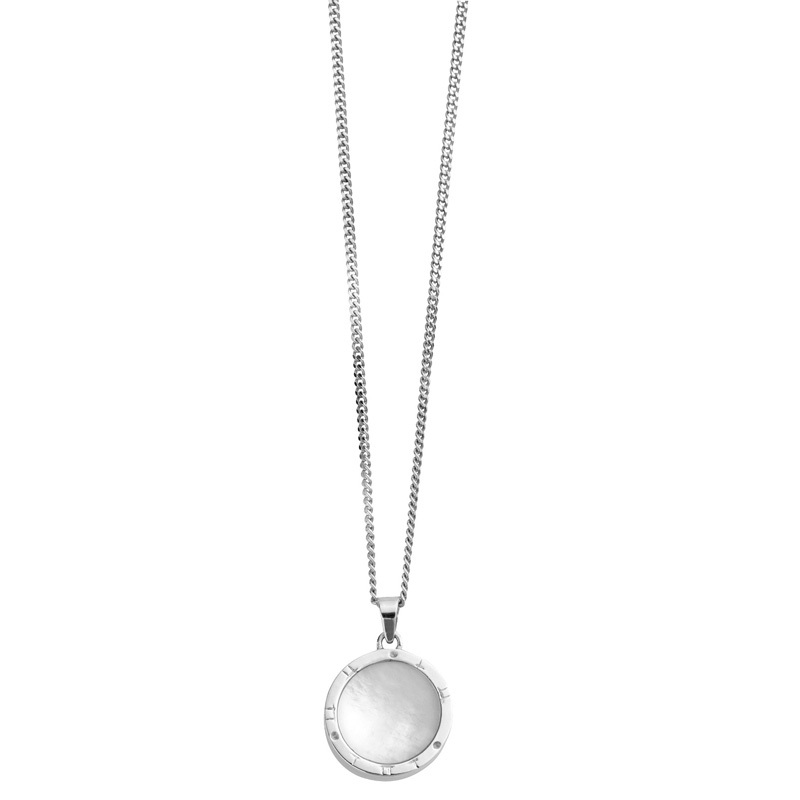 Your pendant can be worn all the time or can be taken off at night and placed on your bedside table. From there it will continue to help in supporting your body’s energy field and protecting against the harmful effects of distorting energies. Users who keep a bioDOT close to them report better concentration, improved sleep patterns and higher energy levels. 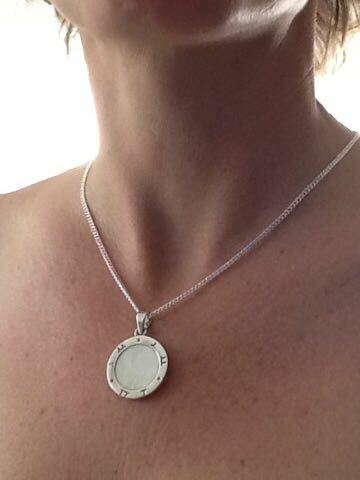 Why wear an Encoded Pendant? There is an invisible pollutant that is affecting us all. Everyday activities – using your mobile, tablet or computer, watching television, using electrical appliances or driving our cars – expose us to man-made electromagnetic fields (EMF). We are all vulnerable to health problems or the ‘electro-stress’ associated with high levels of EMF exposure. Among the symptoms experienced from EMF exposure are; tiredness, headaches, difficulty in concentration, irritability, sleep problems and breathing difficulties. Underlying longer term health problems can still develop even if these symptoms are not experienced in the short term. Medical research already links Diabetes, Cancer and Alzheimer’s disease to electro-pollution. Good energetic integrity is the best possible means of protecting your health in electro-magnetically toxic environments.